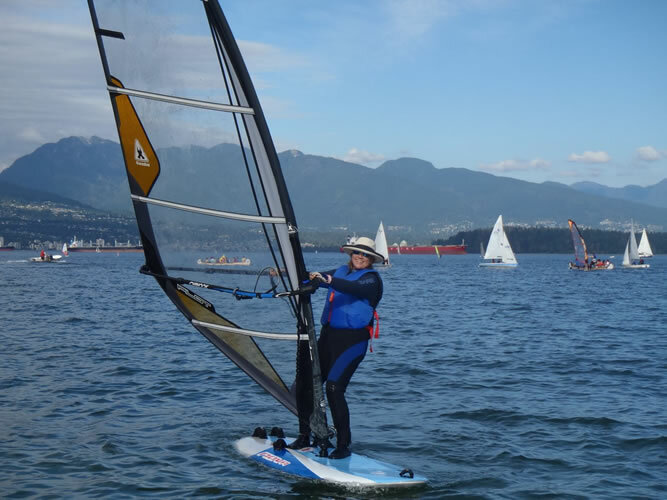 The Viking Sailing Club prides itself on offering an impressive array of well-maintained sailboats for our members to sail at Jericho beach and in British Columbia. Our boat numbers are carefully balanced against the number of club members to ensure both optimal boat availability and excellent membership rates. All of our boats have Viking names. The Viking Sailing Club is fortunate to own a NEW 34-foot Bavaria cruise boat. Our flagship boat is named ‘Tyra’ and she is available for cruises to all club members at very affordable rates. 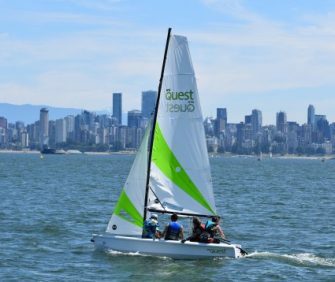 As the only club at Jericho with a cruising boat, we provide our members with the unique ability to enjoy cruises on English Bay and in British Columbia and the San Juans, as well as the opportunity to progress your sailing skills to cruise boats. Our core boat in the fleet is the Tasar. The Tasar is a fast, responsive, two-person Australian designed dinghy. It’s the boat new members receive their initial training on, as it is great for learning to sail while also having superb flexibility in sail trim and adjustments. The single-handed Laser is another fleet favourite. 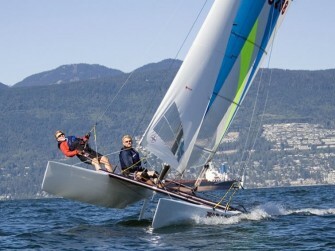 The Laser was designed by Canadian Bruce Kirby and is one of the most successful single-handed sailboats in the world. Sailing the Laser is one of the purest forms of sailing you can experience. 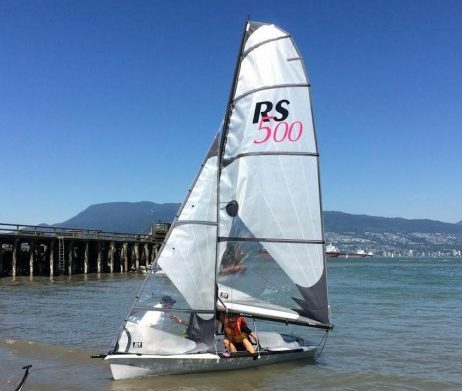 The RS500 is an exciting, award-winning double-hander with trapeze and gennaker. When you’ve mastered the Tasar, this is a fantastic dinghy on which to hone your skills. Take your friends! The RS Quest is roomy enough to take up to four adults, but simple enough that two people can take her out. 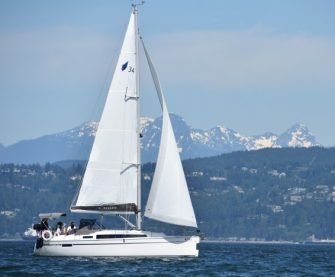 You can practice reefing, and this boat also sports a gennaker. The Nacra 570 catamaran combines simplicity and ease of sailing in a fast, performance boat – great for learning on, and also great for flying. 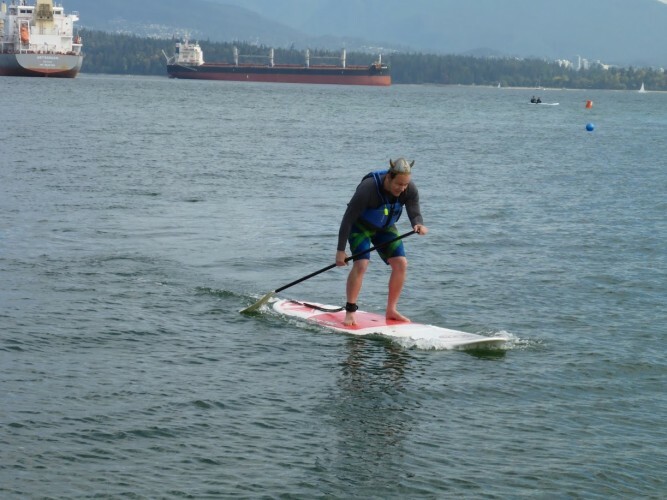 Work on your core strength and balance on one of our new stand-up paddleboards, perfect for still days on the water. Great for a leisurely paddle or when you arrive at the club and the wind has gone some place else. 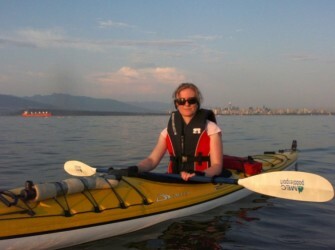 An enjoyable alternative to our sailboats, particularly when the wind really picks up.